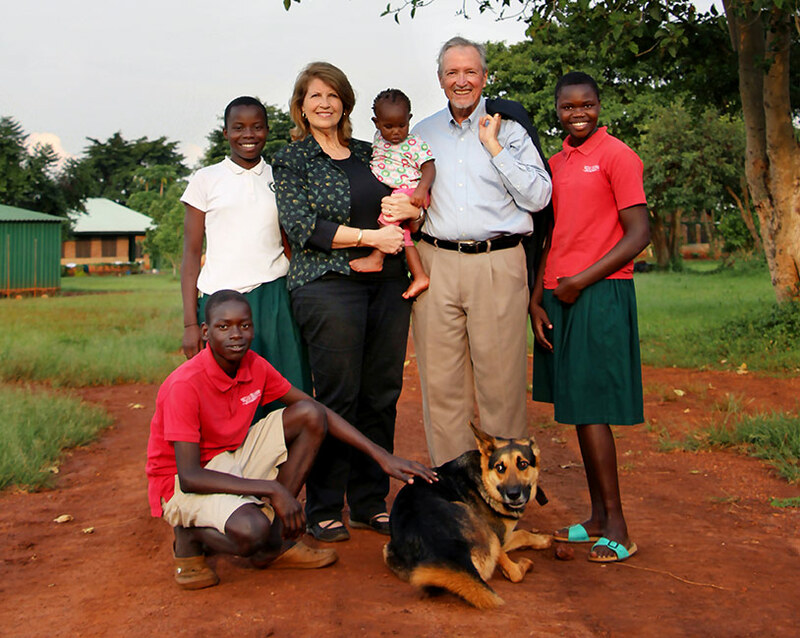 For years, Dr. Tim McCall, BA ’71, and his wife, Janice, BA ’71, BMEd ’72, had planned to again serve as missionaries outside the U.S. after their youngest son started college. They made several summer trips with Baylor students to learn Spanish in Belize and other countries where they thought God might later lead them. Instead, they were called to a war-torn country in Africa, where for the past decade they have provided a place of refuge and a beacon of hope for the people of Northern Uganda. Originally from Memphis, Tenn., Tim was a NoZe Brother and a member of the medical club at Baylor. Janice was a member of Theta sorority and played in the Baylor Orchestra. They served as Southern Baptist missionaries in Nigeria from 1983-94. Returning to Waco, Tim taught family medicine until 2006 at the Waco Family Health Center & Residency Program, where he also established the International Medicine Department. Their four children are all Baylor graduates. In 2005, at World Mandate, a missions conference hosted by Waco’s Antioch Community Church, the McCalls viewed George Otis’s documentary, Unconventional War, about the longest running rebel movement in Africa led by Joseph Kony and the Lord’s Resistance Army. From that moment on, their call to Uganda was clear. Today, Restoration Gateway is home to 140 orphans. Its 700 riverfront acres support initiatives in healthcare, orphan care, empowerment and ministry to the church. A fully functioning dental center and mobile medical clinic will soon be joined by an 80-bed hospital. The children are educated through the Oaks of Righteousness Primary School and a secondary school that recently opened. Empowerment through agriculture, construction, sewing, mechanics and driver’s education develops practical skills that the students can teach to others. A community church hosts pastors and worship leaders from the U.S., trains and encourages local pastors and offers discipleship to the approximately 120 Ugandans the ministry employs. Even while living for nearly a decade in a repurposed shipping container on another continent, the McCalls have remained a vital part of the Baylor family, with connections to departments across campus that are assisting with the needs of Restoration Gateway. The couple envisions increased participation by Baylor students when plans for a large university at Restoration Gateway come to fruition, another step in their God-led journey.